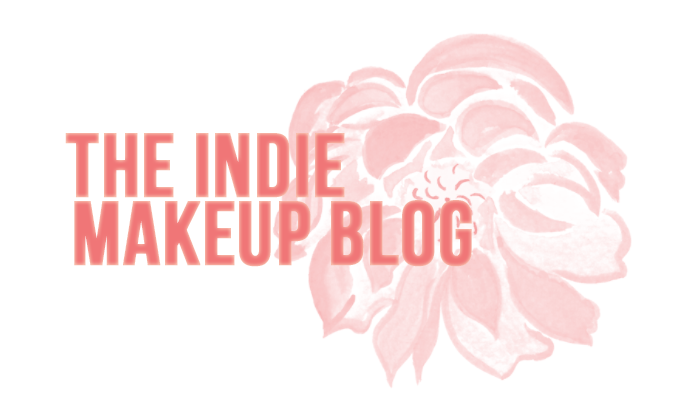 When I first discovered indie makeup, one of the brands I heard a lot about besides Shiro was Darling Girl Cosmetics. Once I fell down the proverbial rabbit hole of indie cosmetics, I decided to place an order with DG and my love affair with them began. Darling Girl offers a full line of products including eyeshadows, blushes, lip glosses and liquid lipsticks, glitters, primers, and more. 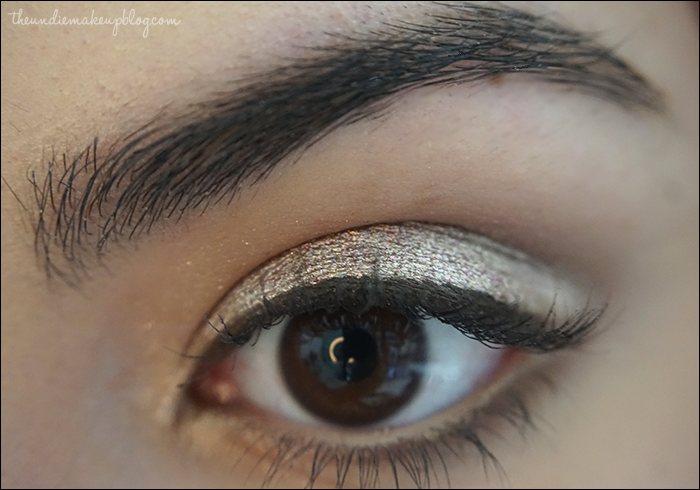 The shade featured in this look is one of their most popular, Jeweled Taupe. This color is a super sparkly beige taupe and is absolutely stunning with or without a sticky base. 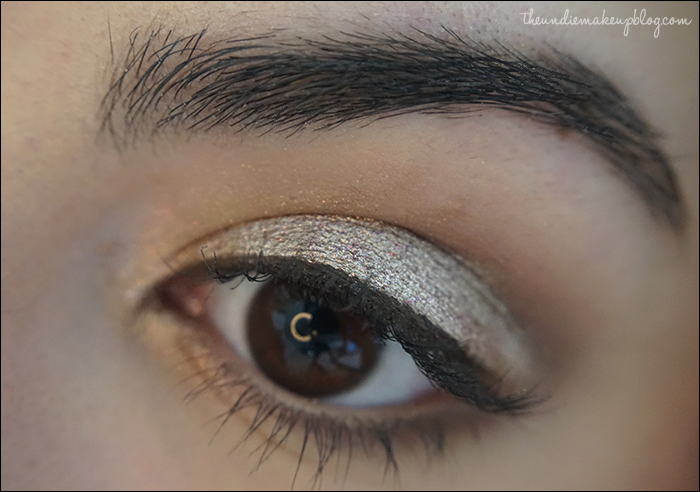 It actually reminds me a lot of the Stila Magnificent Metals Eyeshadows, which sell for over $20 a pop. I think next time I wear this shade I'll wear it without a sticky base as this is pretty intense and I like a slightly more subtle effect!